A-Lift – The revolutionary skin health treatment proven to fight the signs of ageing! As we get older our cells’ metabolism slows. When this starts (from mid 20’s upwards) the structure of the skin and underlying tissue deteriorates. It becomes less hydrated, and there is a reduction in functionality resulting in reduced collagen and elastin – the ‘scaffolding’ of facial tissue. These factors are manifested visually in sagging, thinned, loosened and wrinkled skin which is less capable of protecting itself. 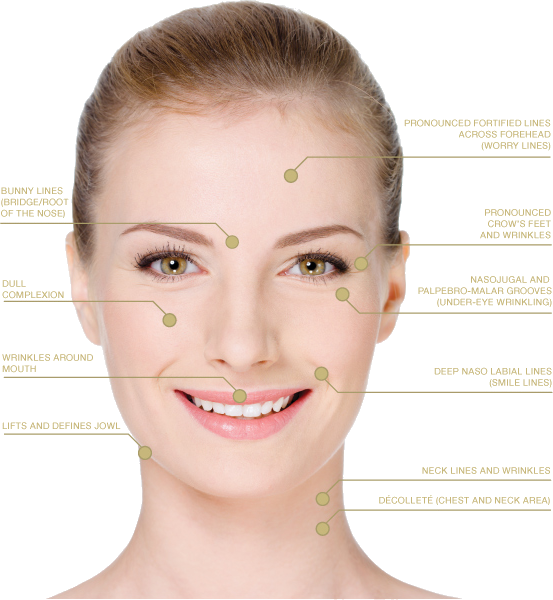 Thanks to the innovative science behind A-Lift, these effects of ageing can be reversed in a non-invasive, non-surgical treatment that is proven to improve skin’s structure resulting in a dramatic reduction in lines and wrinkles, firmer face and neck muscles, and healthier more youthful looking skin. Amazing results are noticeable after the first treatment and last up to six months with regular treatments. A-Lift, developed by a world-renowned expert in the field of aesthetic sciences, uses patented nano-current technology to combat ageing at a cellular level. Nano-current technology (electro-simulation at such tiny wavelengths they can’t be felt) is known to increase Adenosine Triphosphate (ATP) productions in cells to accelerate cell metabolism. Through this process, cells are stimulated to produce more proteins including collagen leading to better structure, improved toning and lift so the skin looks younger and refreshed. Find out more about the A-Lift treatment by watching the following short video. A course of approximately 8-10 treatments is recommended to achieve the best results, starting with 1-2 treatments a week for the first month, reducing to 1 treatment every 2 weeks until the course is complete. To maintain results 1 treatment every 4-6 weeks is suggested, however treatments can be done as frequently as desired. Also called “The Lunchtime Lift”, this quick procedure is a natural treatment designed to illuminate & improve overall skin tone & hydration to delay the signs of ageing. It provides both immediate & long term benefits. A great skin boosting treatment for all ages. A bespoke treatment for those who want a focused & intensive anti-ageing therapy. This treatment is designed to soften more pronounced wrinkles & lifts areas of concern. Discounted 5/10 treatment courses are also available*. A de-stressing treatment that treats the mind, body & soul, leaving you feeling ‘zenergised’. This facial combines a deeply relaxing massage with cell regeneration & lymphatic drainage, focusing on the face, neck & shoulder. This relaxing treatment incorporates all the benefits of the 60 minute Anti-Ageing A-Lift facial with a rejuvenating massage, leaving you feeling pampered & renewed. In addition to immediately visible results, you will also experience a heightened sense of well being. To make an appointment please contact us on 01872 501978. To find out more about A-Lifts treatments and technologies visit the Nouveau Beauty Group Website.